Have You Been Living A Lie? Are Your Prayers an Abomination!? Jewish Believers Have A Word For You. Will He Recognize You When He Comes?! A Frank Warning. Be Ready. Here Is How. The Quantum Physics Science Of Your Words. Is our Heart Right? Judgement Is At The Door. Your New Currency …and Why? Peaceful Religion?Islam: You Die If You Don’t Believe What We Believe. Distorted Gay Judge: “I…Me…I’m…My…Mine.” God Said “They Would Be ‘Lovers’ Of Self! Iranian Defiance Speaks Volumes and Volumes. 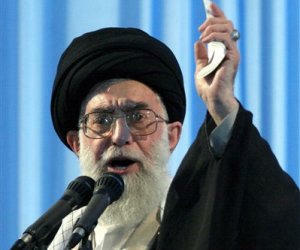 The Iran of 2012 is 1938 Hitler.